Leptons: a family of particles consisting of the electron, the muon and the tau, along with their neutrinos. Lepton is the temporary name for a single floppy Linux, based on the kernel series 2.4.x. It is my lab where I do experiment with the framebuffer device in Linux. It runs enterely in RAM, as usual. It is a complete UNIX in the console, with init, shell history, multi-console, etc. Screen Saver framebuffer demo, with flying jpeg. Lepton is not user-configurable (yet). Lepton has no memory: it runs in RAM. Remove the ncurses library, writing a sort of wrapping library interface versus the framebuffer graphics. populate the /usr/doc with a mini-course on UNIX shell and scripting, for my students. You need Linux, for that. 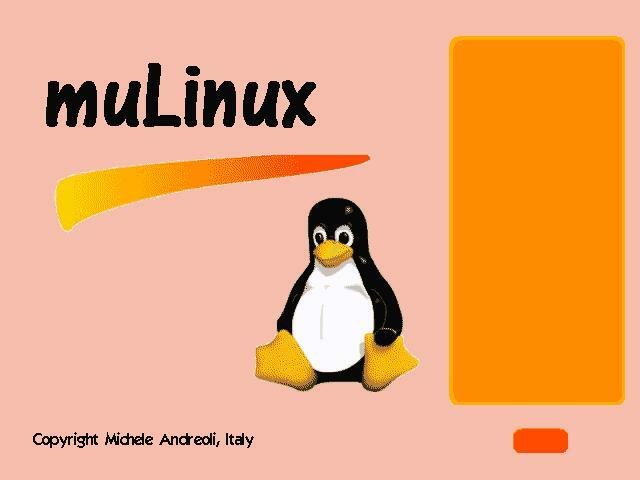 DOS/Win9x users can use muLinux (in this case). Lepton is released under GPL, but is totally unsupported by the Author. The author is Michele Andreoli. Please, do not ask and do not report bugs: it is only a demo. Source code for fbppm.c (framebuffer PPM image loader), j2 (jpeg to PPM converter) and for the rustic Busybox are available in the same directory.